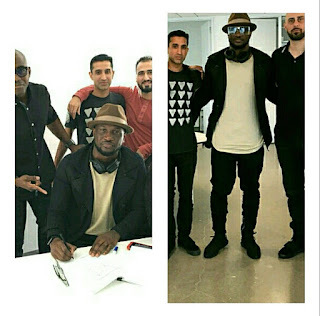 Psquare brother, Peter Okoye now Mr P, just signed a major digital distribution deal with a prominent United States record label called Empire in absence of Paul his brother. 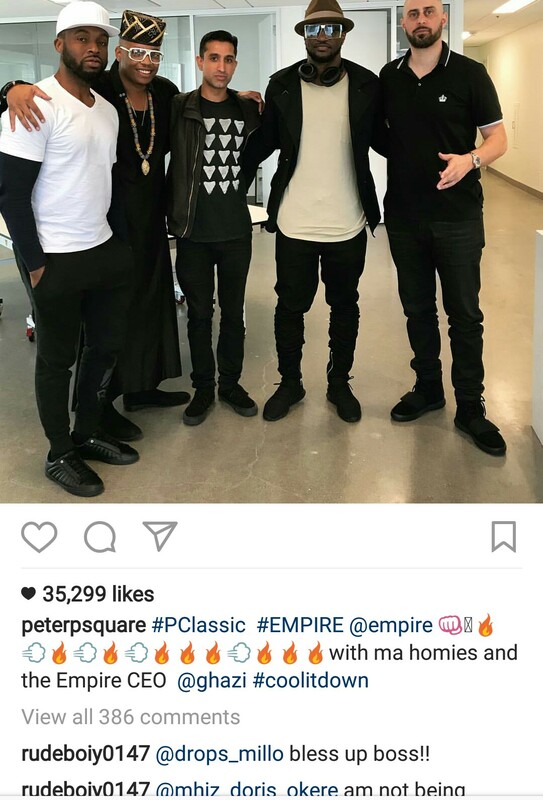 This step has made it more obvious that the two blood brothers have gone their separate ways already, due to their faceoff a couple of days ago. 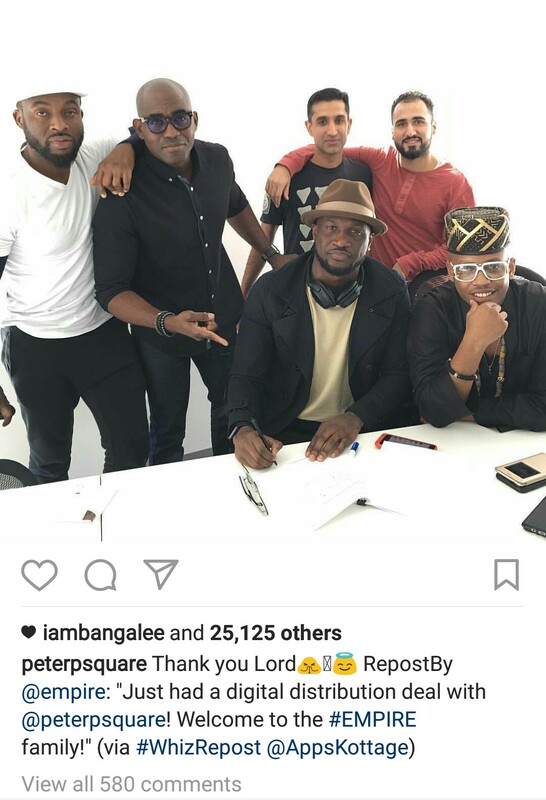 The photos of the signing of the deal were shared on his Instagram page for his fans to see the new development and wrote "Thank you Lord"